The Lohr am Main district hospital campus is characterised by a heterogeneous development structure. It is an area of strong tension between the historical core area to the west and buildings from more recent periods in the east. 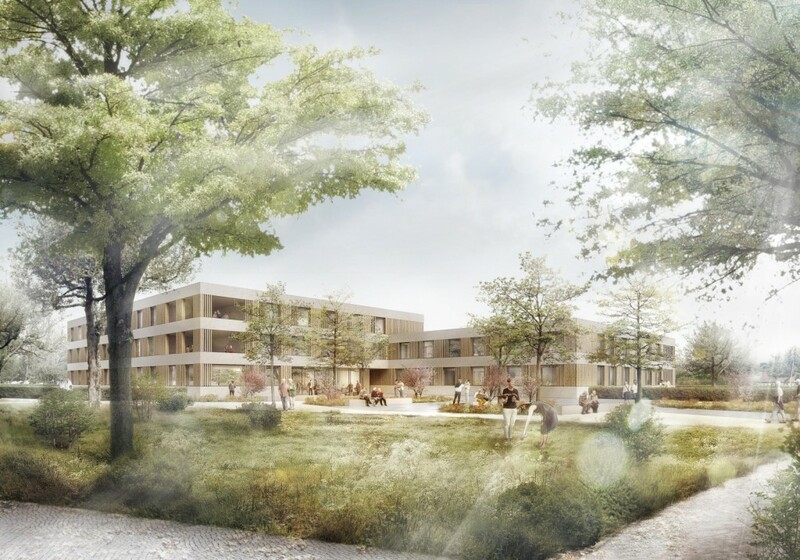 In an initial construction phase, the new centre for gerontopsychiatry will be built to the east of the hospital site, to enable uniterrupted operation with a promising future. The structure consists of two interlocking cubes that reference the existing buildings in scale and continue the small-scale campus morphology. Similarly, the heights of the two- and three-storey structures are aligned with the surrounding development. Open, relaxing views of nature will be admitted, generating a pleasant, bright ambience. The urban development situation also leaves space for future expansion.